Lucidity is a puzzle platformer where you don't actually control the little girl Sofi, but instead place objects in her path so she can keep moving. It was released by LucasArts Labs, the short-lived experimental development branch of LucasArts that also released the Monkey Island special editions. Sofi is a little girl who lives with her grandma, but her grandmother is old and not doing so well. Sofi drifts into a sleep, and has to travel through worlds looking for her grandma. There are 30 main levels and 15 bonus levels which can be unlocked by collecting fireflies in the main levels. 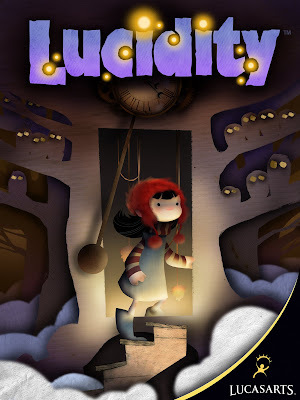 Lucidity was released on Xbox Live Arcade and PC on October 7, 2009.